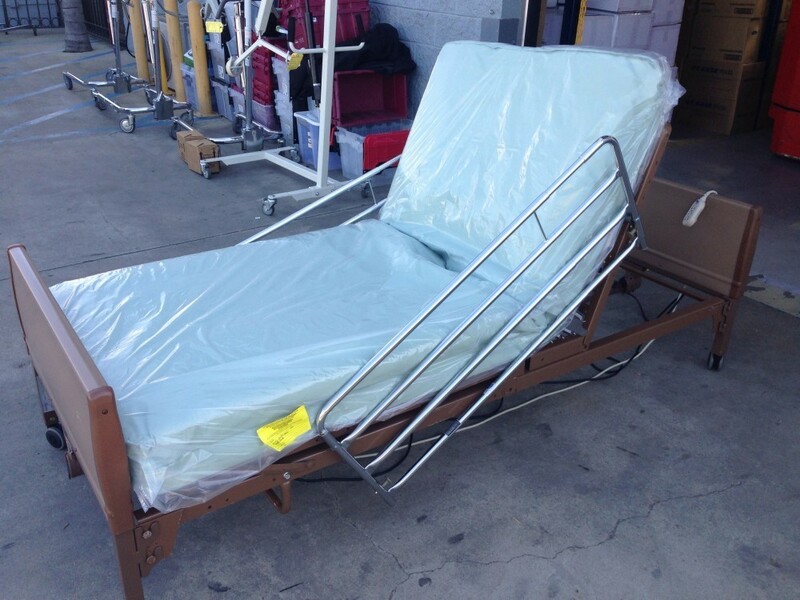 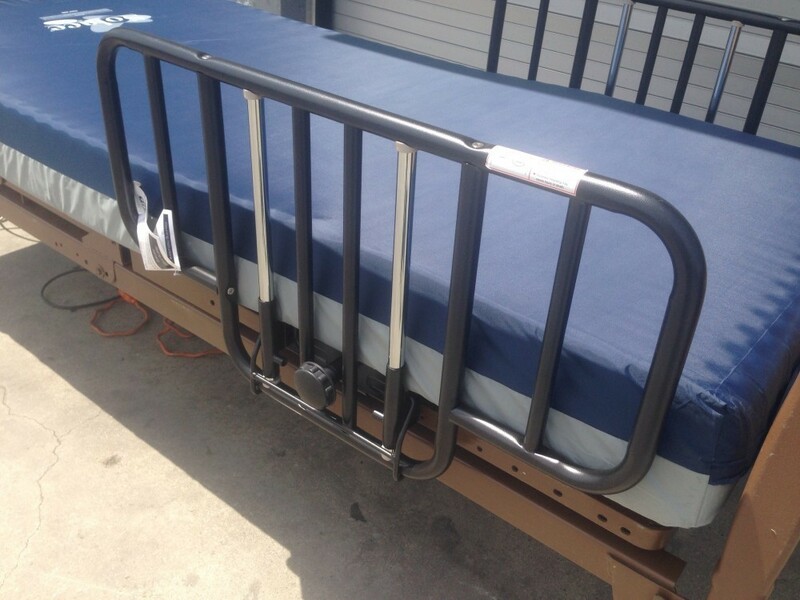 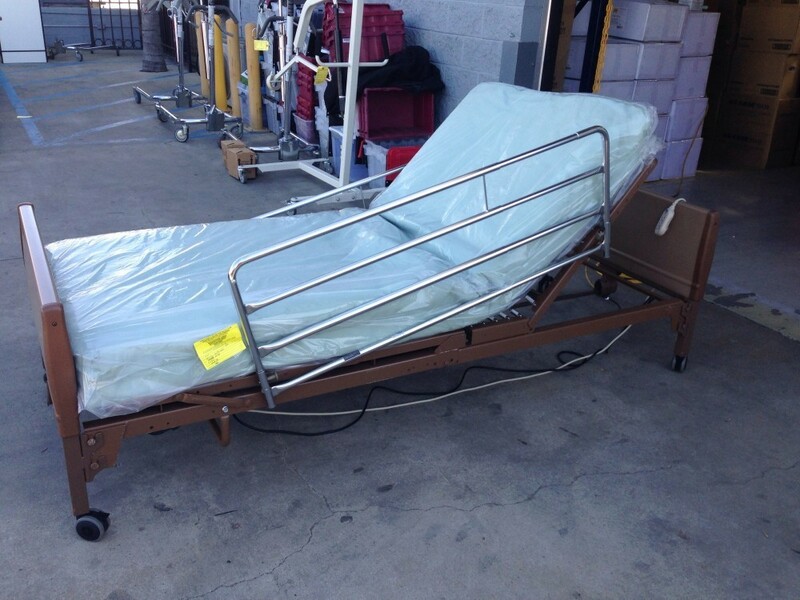 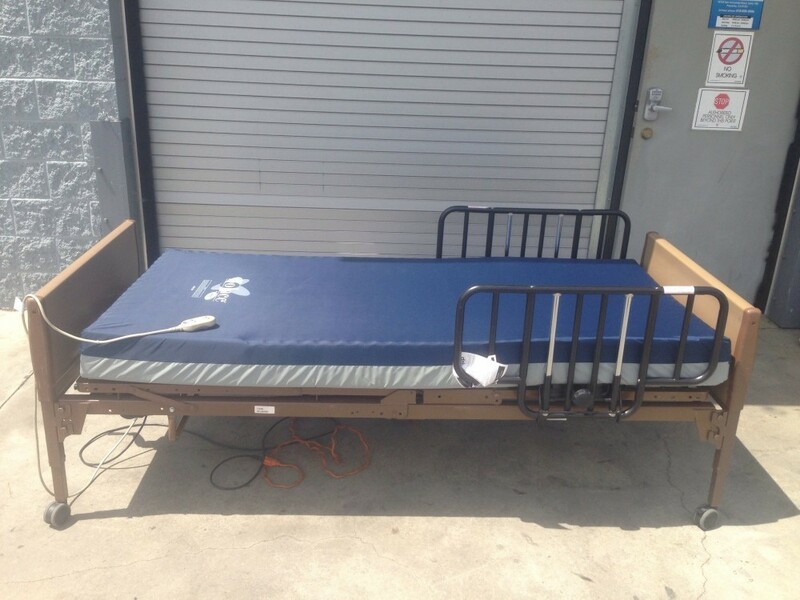 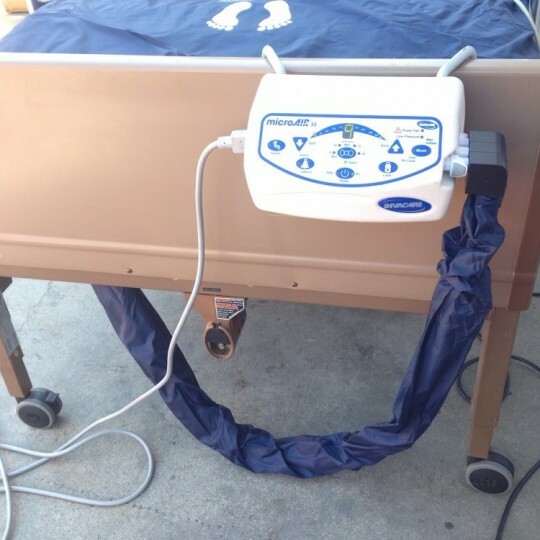 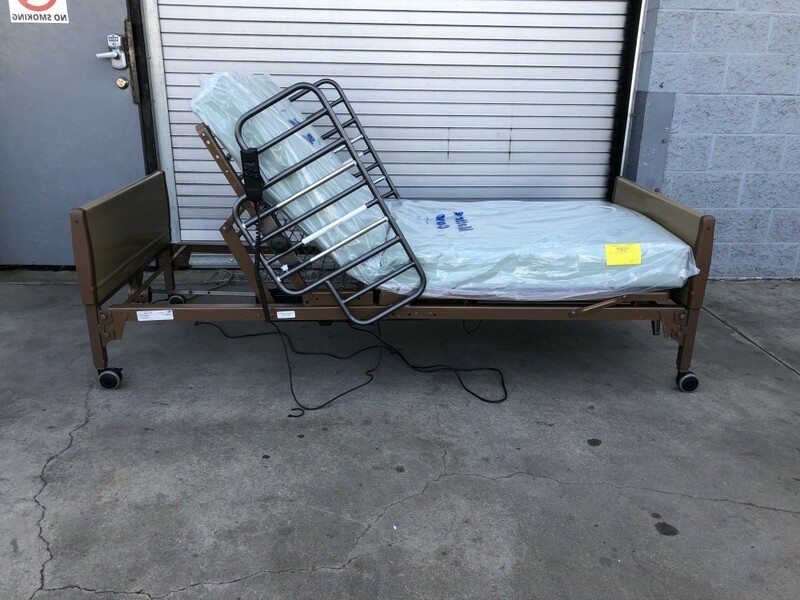 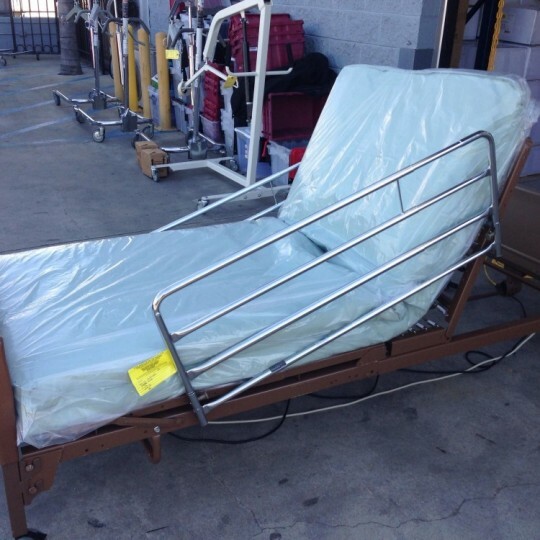 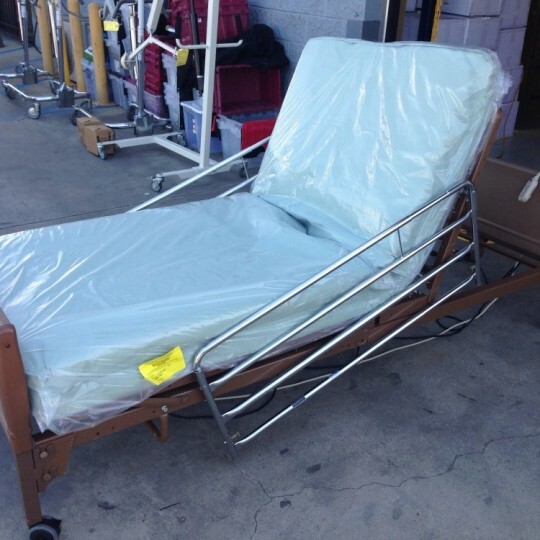 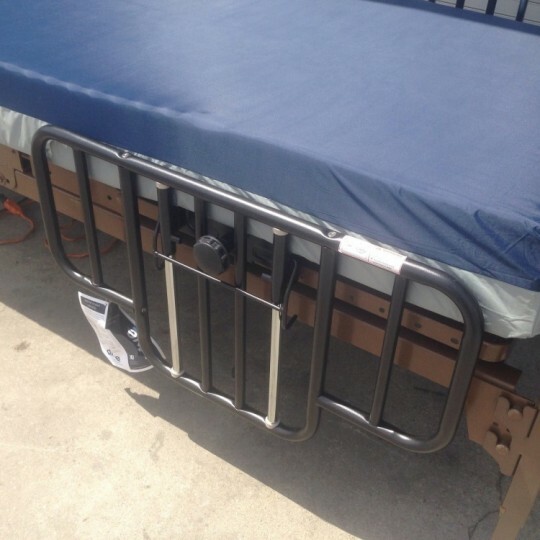 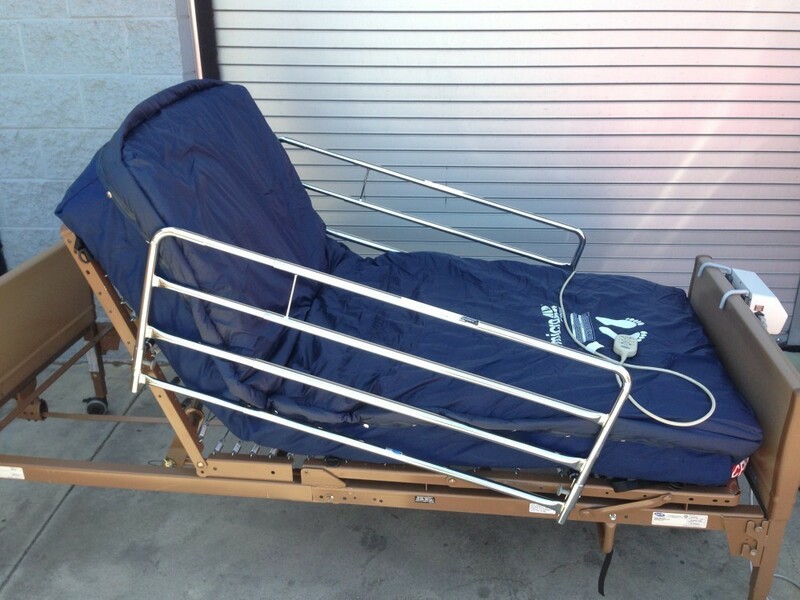 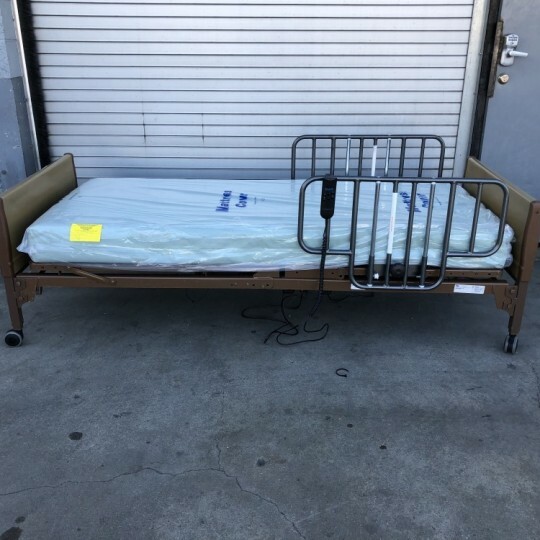 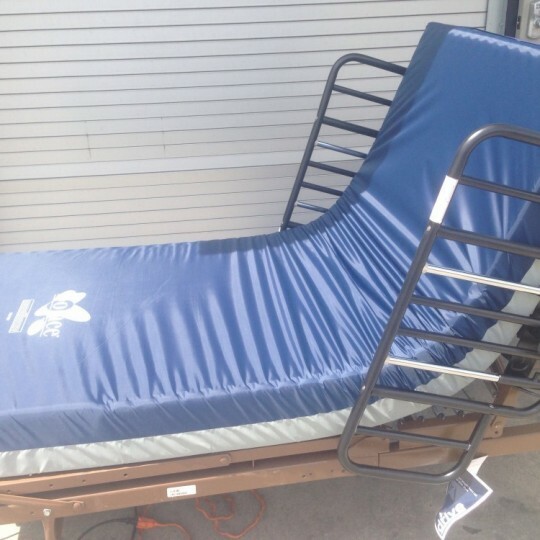 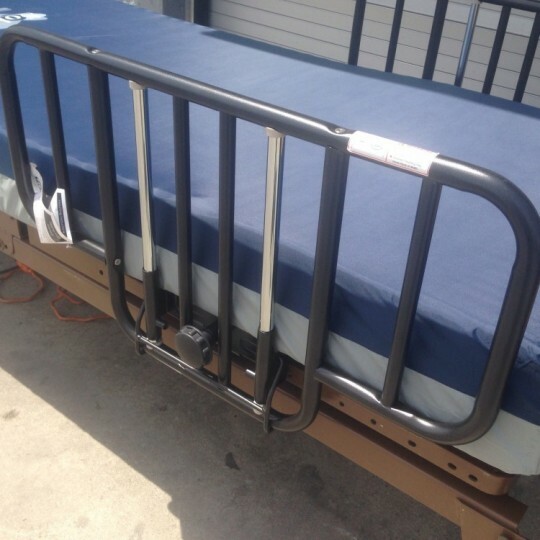 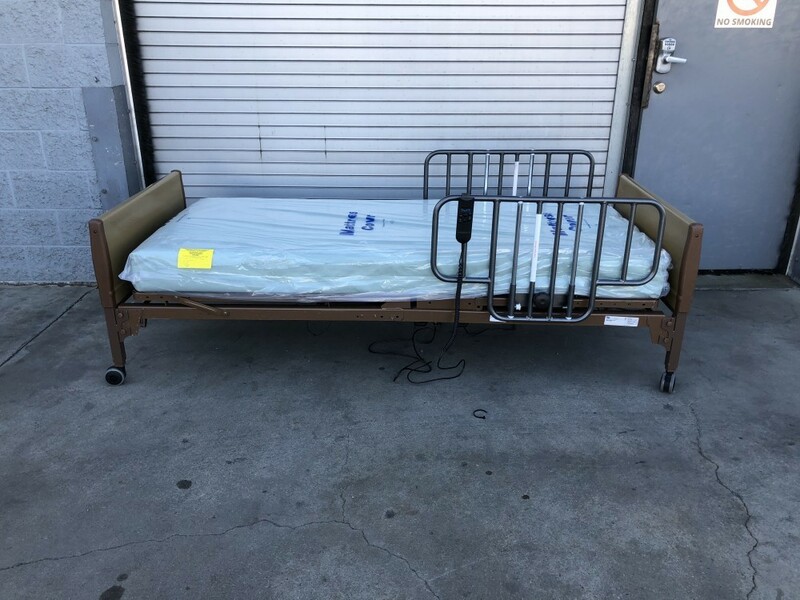 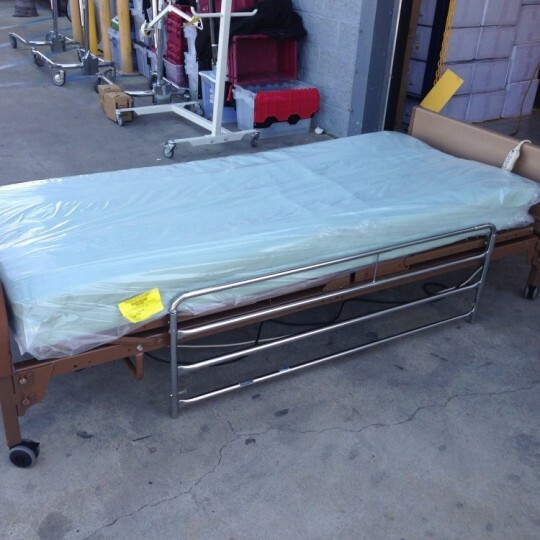 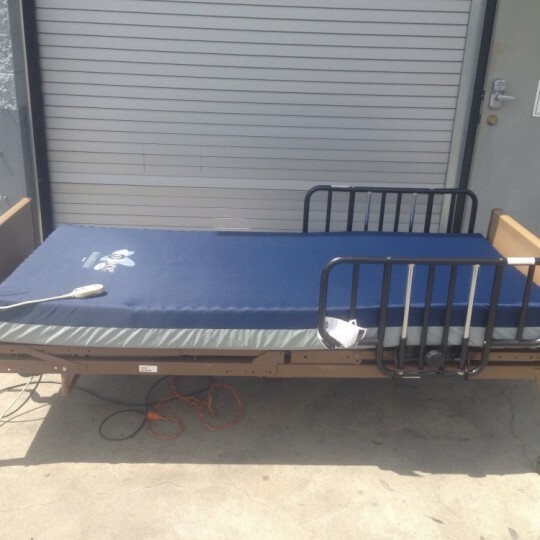 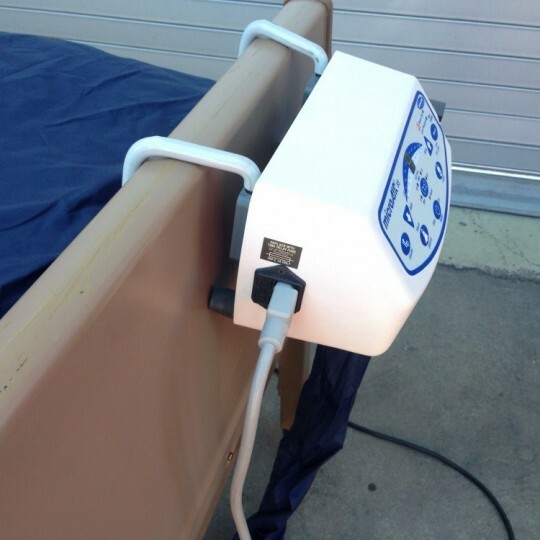 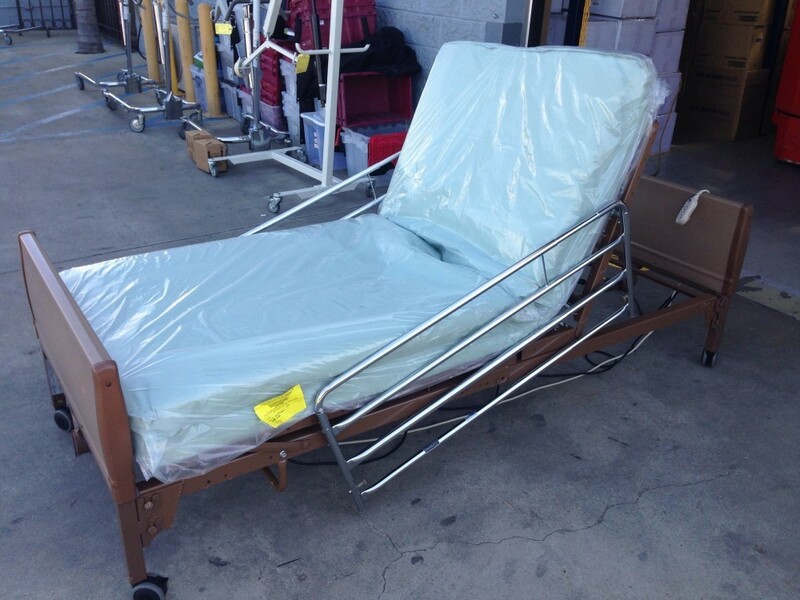 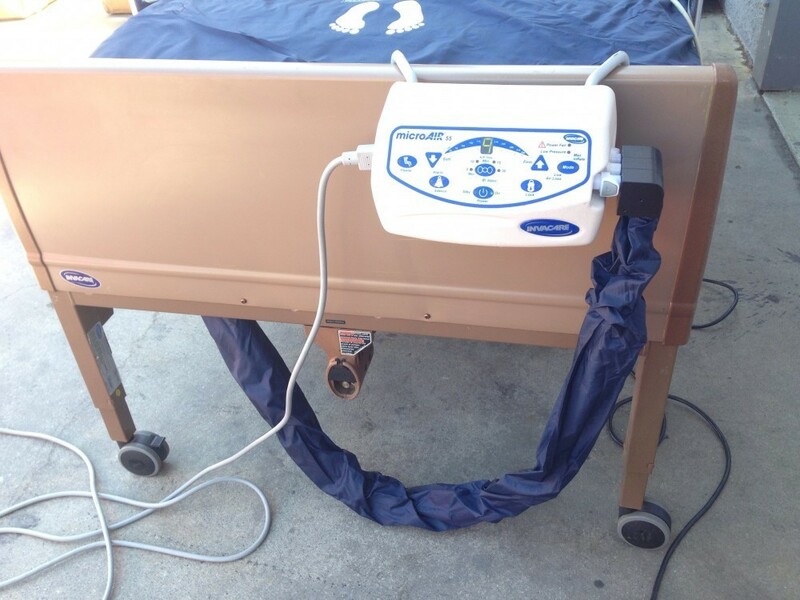 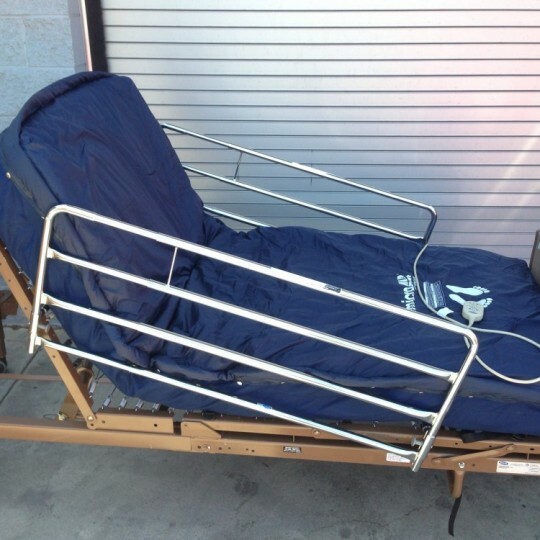 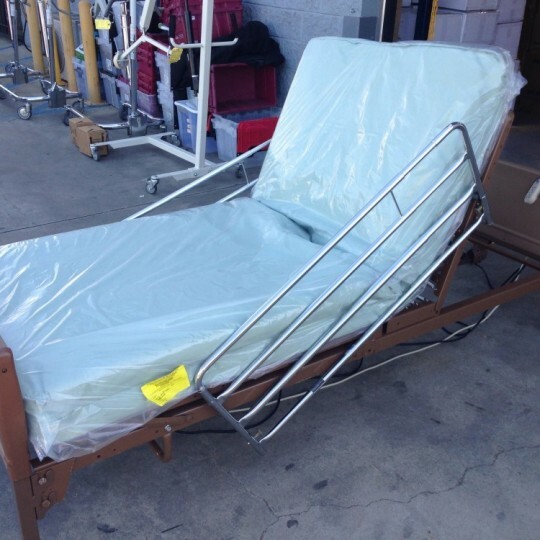 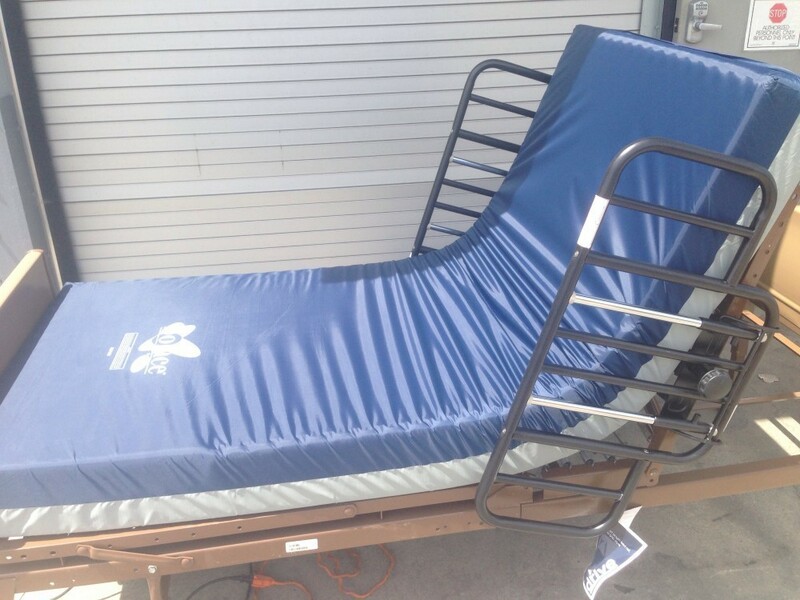 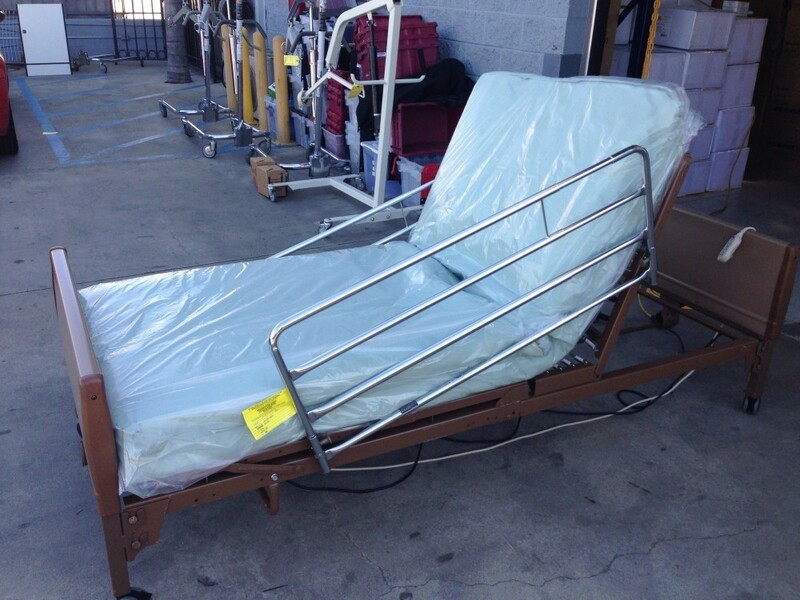 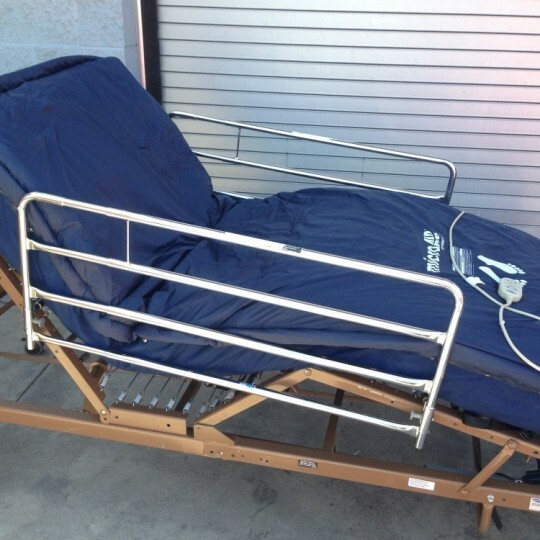 Pre-Owned Semi-Electric Hospital Bed from Invacare in Great Condition. 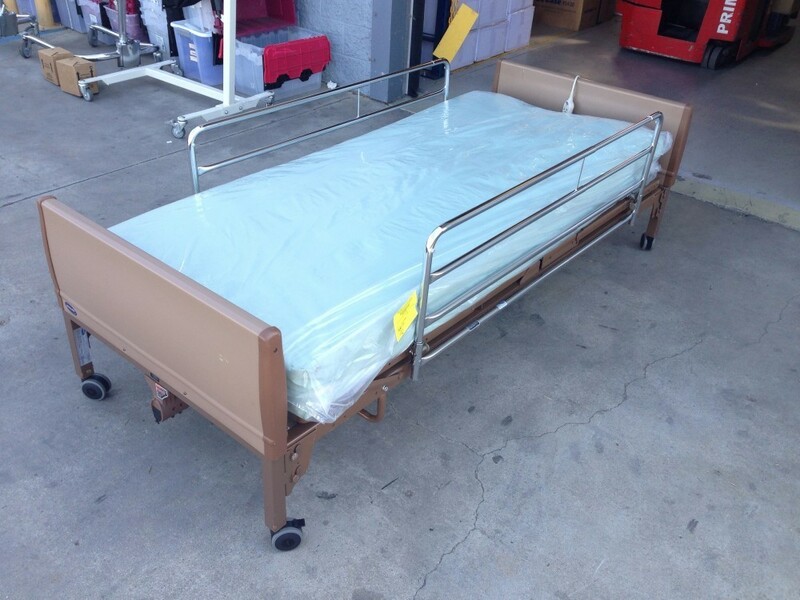 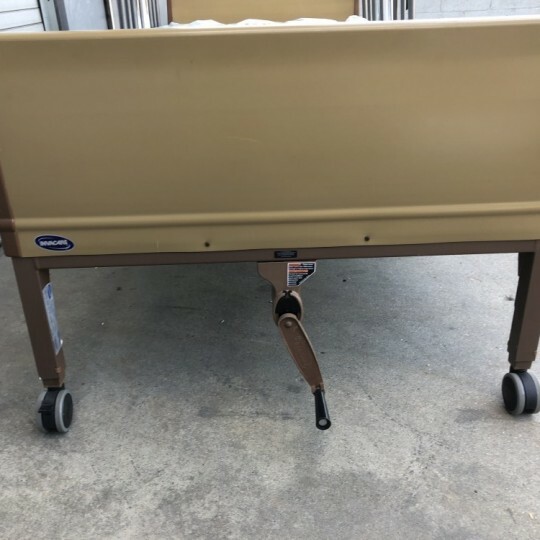 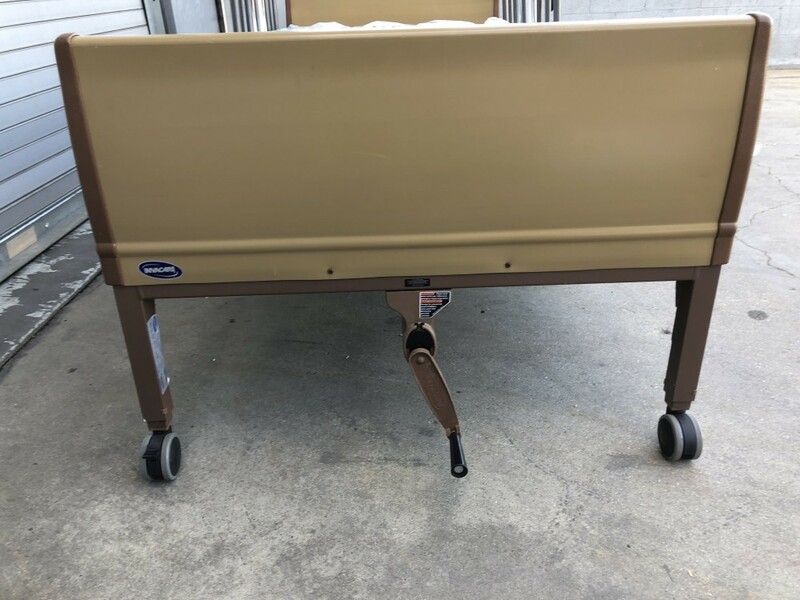 This hospital bed has a durable frame with a 450 lb weight capacity, requires minimal maintenance and is very easy to clean. 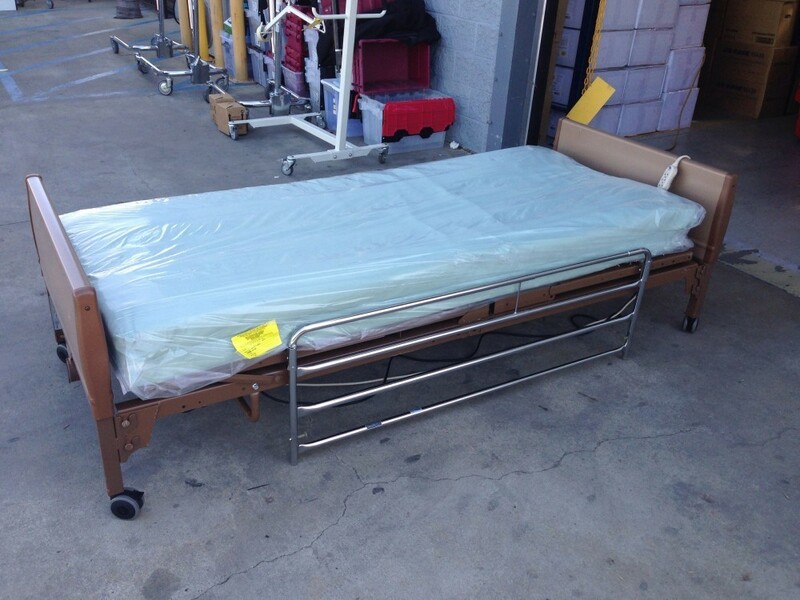 This Hospital Bed package comes with a standard spring mattress & side rails of your choice ( half rails or full rails). 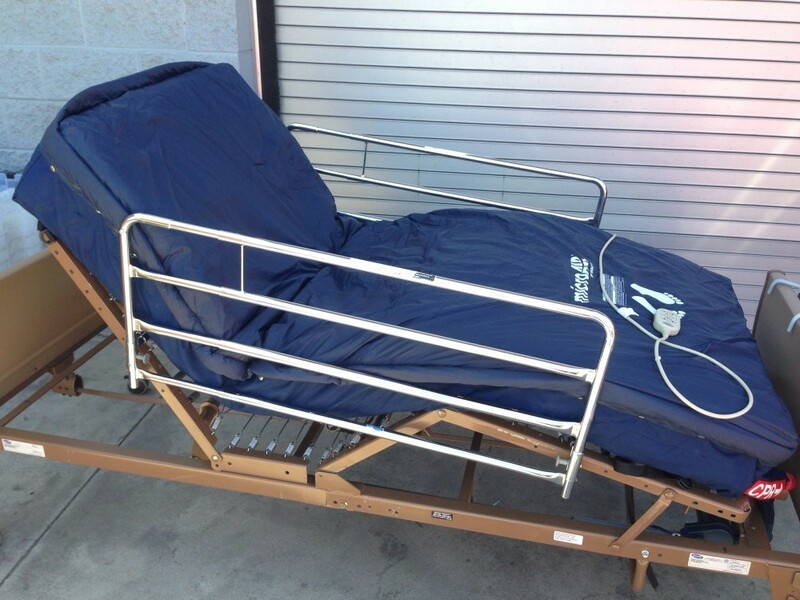 Invacare's first generation Hospital Bed. 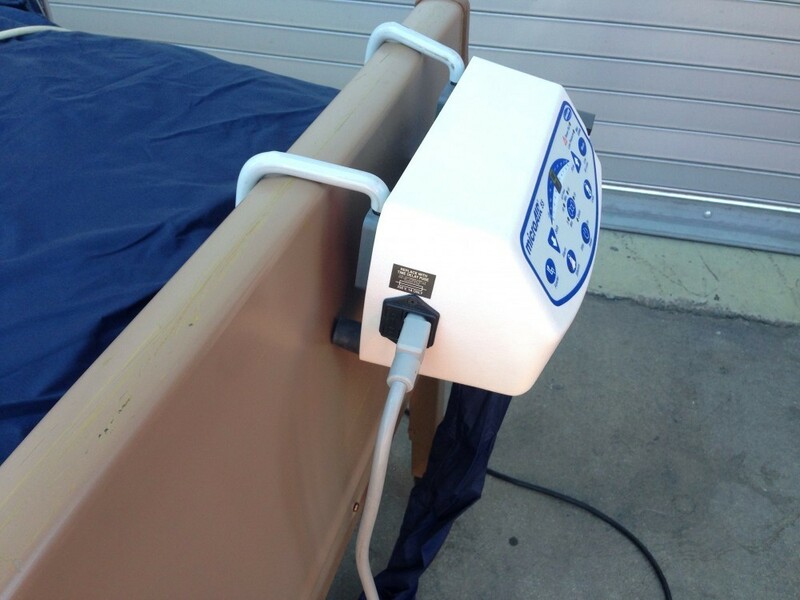 Invacare's IVC Hospital Bed offers a number of innovations that translate into long-term savings over the product lifecycle. 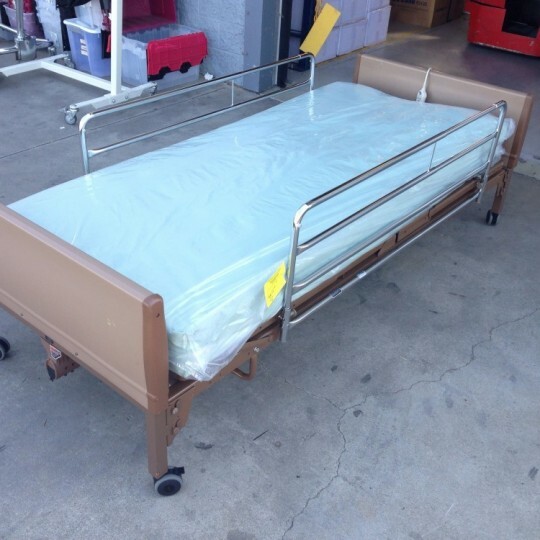 The new IVC Hospital Bed components such as the Universal Bed End, head spring, and foot spring are interchangeable with your existing Invacare hospital bed fleet, so you can now upgrade your fleet with these enhancements. 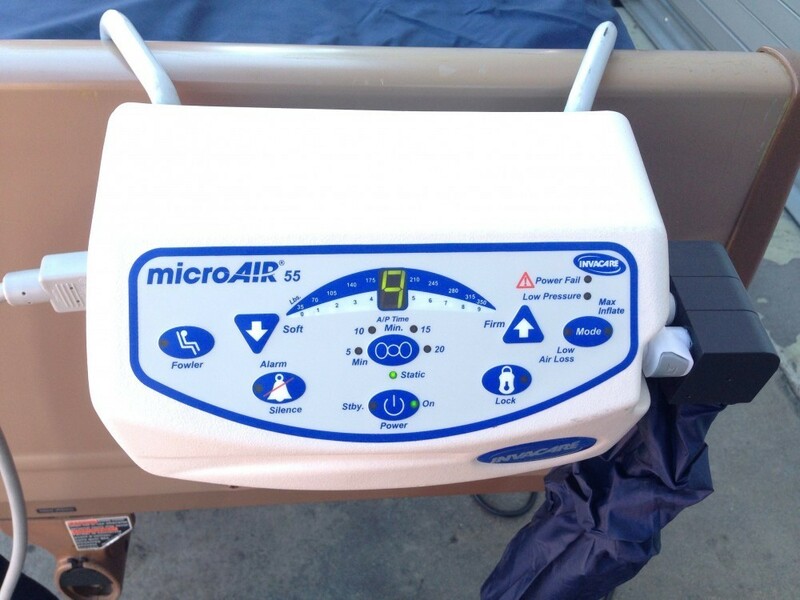 These new features are designed to be easier to deliver, set-up, clean, and maintain. 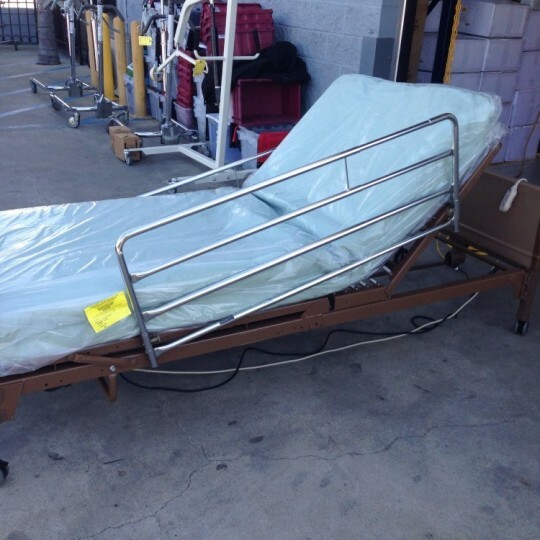 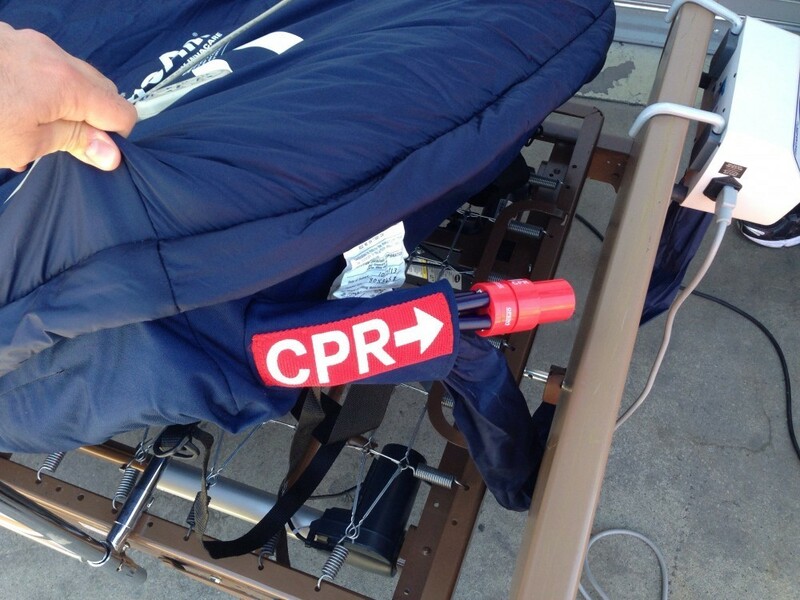 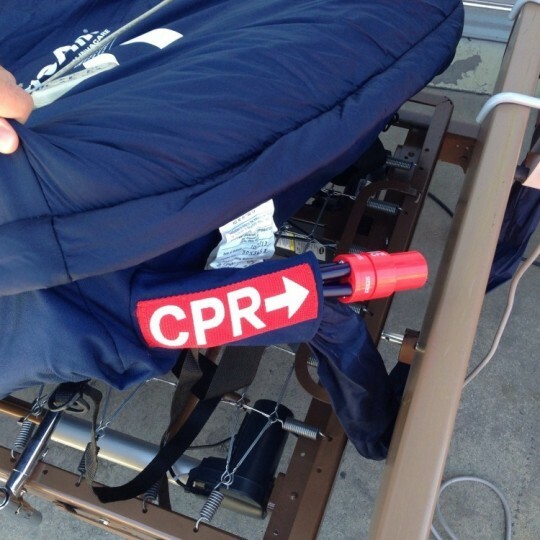 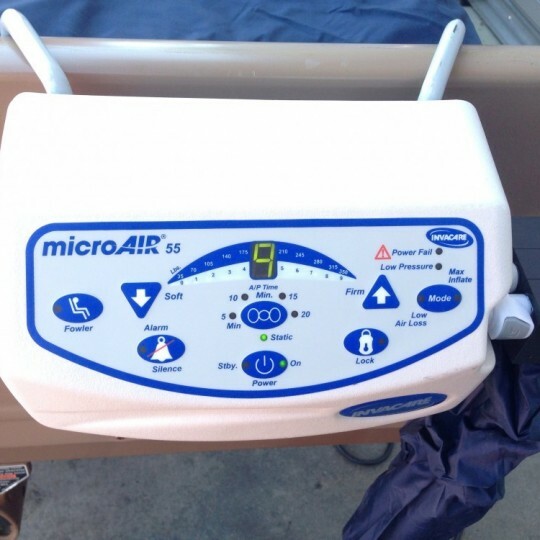 If for some reason you are encountering problems with the medical equipment you purchased, you must first contact us by calling (818) 896-8772. 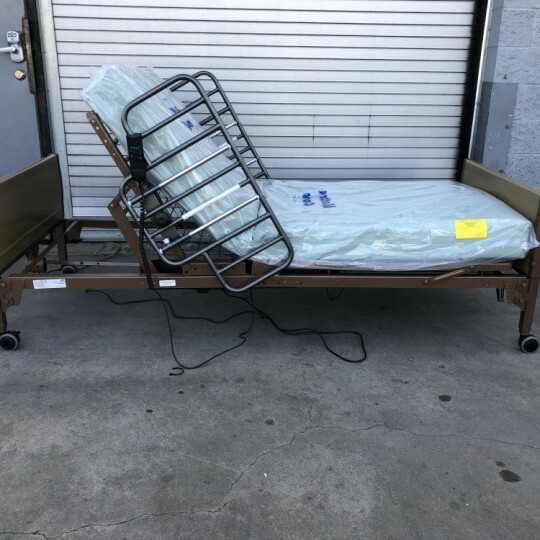 If the purchased item is being used within our service area, we will schedule an appointment to send out a repair technician as soon as possible to diagnose the issue, and determine whether it can be fixed or not. 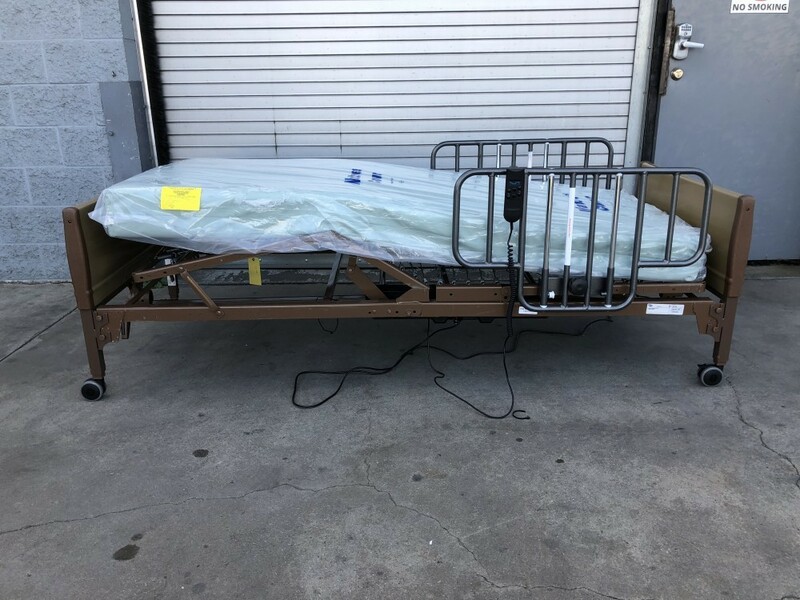 If the item is not in our service area, depending on the location, we will either be able to send out a repair technician or have you ship the item back to us. 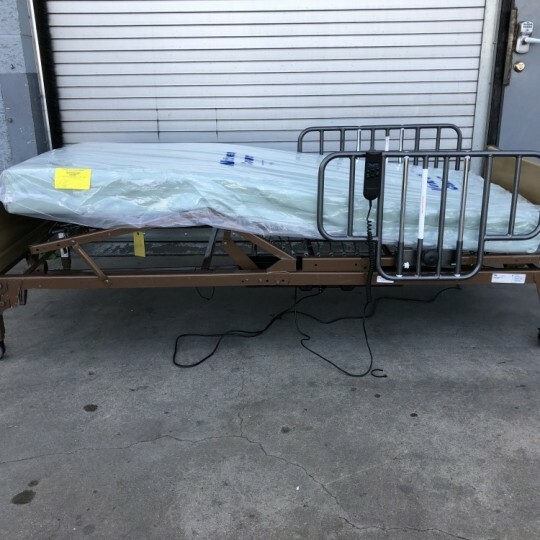 The warranty is void if the item's ownership is transferred to a new owner, damaged due to misuse, accident, normal wear and tear, or if the equipment is used in any way that would void the original warranty offered by the manufacturer. 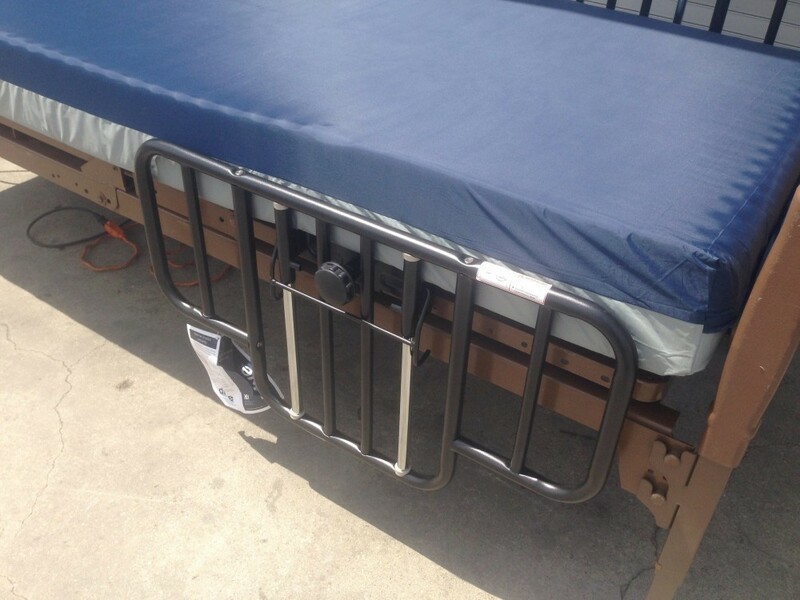 For more information about our warranty, please contact us by calling (818) 896-8772 during our normal business hours.